Fully understanding the complexity of natural communities, and the relative importance of ecological, genetic, and evolutionary forces governing their dynamics, requires approaches that can integrate across multiple biological levels of organization. Moreover, our ability to take advantage of the explosion of genomic data that will be available within the next decade will depend on whether these data can be fully integrated into an evolutionary and ecological context. Research in my lab has two complementary aims: First, uncovering how ecological factors such as climate, abiotic resources, competitors and natural enemies shape the ecological and evolutionary dynamics of plant traits and populations; and, second, determining how these ecological and evolutionary patterns are constrained, modified, or facilitated by genetic factors such as trade-offs or the functionality of major regulatory genes. 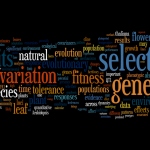 We use an integrative approach, and attack problems from multiple perspectives, utilizing ideas and tools from usually distinct areas of biology, including community and population ecology, quantitative genetics, evolutionary biology, and genomics. 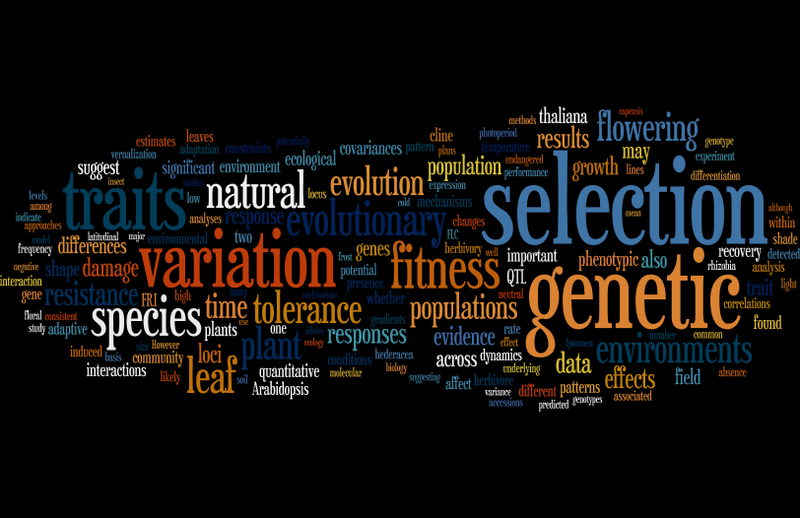 For a visual depiction of the topics we work on, check out this , based on the abstracts of our papers, courtesy of www.wordle.net.